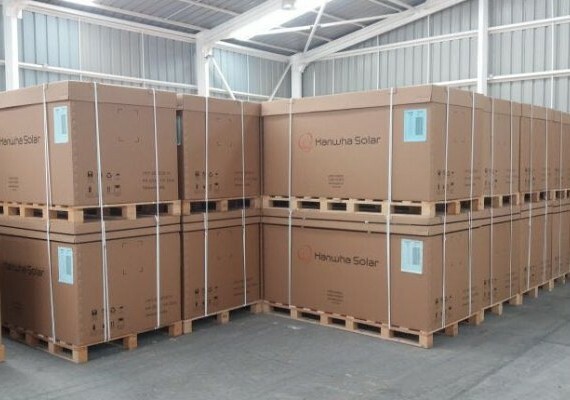 Hanwha Q Cells Co., a solar power unit of South Korean conglomerate Hanwha Group, said on Monday that it will build an 80 megawatt floating solar power generating facility on a local reservoir in a new kind of energy-sourcing technology inspired by sun’s movements.According to the company on Monday, it has signed a memorandum of understanding with Korea Hydro & Nuclear Power Co. (KHNP), Hanwha Solar Power, and solar developer Solkiss to jointly develop a solar power station that floats on water and rotates following to the sun’s movement. Under the agreement, Hanwha Q Cell will install an 80 megawatt solar power generating facility on a reservoir in Korea. The location has not yet been decided.